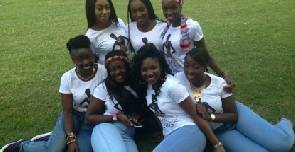 After successfully organizing the 2013 Ghana Party in the Park, the biggest African outdoor family fun event across the United Kingdom this month, Akwaaba UK, has announced Saturday 28th September 2013 as the date for the grand finale of Miss Ghana UK 2013. Mr. Dennis Tawaih, event coordinator of Akwaaba UK, the 2013 grand finale of of the most prestigious African beauty show in the United Kingdom will take place at the plush TROXY, in London. “This year’s event is the twenty first edition and it promises to be bigger, more exciting, considering the sort of work we have done. “From the contestants to the crew, everyone is fired up to ensure September 28th becomes that one memorable night. There will also be performances by the Ghanaian and UK based artists”, he said. The Miss Ghana UK beauty pageant has over the years become a highly rated event the African communities across the United Kingdom always looks forward to every year with a record attendance each year. Endorsed by the Ghana High Commission in London, the yearly event witnesses a record attendance by popular soccer stars, most sought after musicians and notable personalities within the British showbiz fraternity.